Welcome to my Page. This page is very new, and is still under construction (see https://www.stephenson.cc for my mymain page). So here goes nothing I hope that this helps.. if you do have any suggestions e-mail me. Our Main Web page . The woman of God that I love.. The Church I go to with a great bunch of believers. My Blog .. Just for fun. 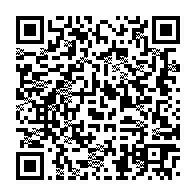 qrcode with contact info in it. If you wish to send us money to help us out, there is a paypal donate button below.